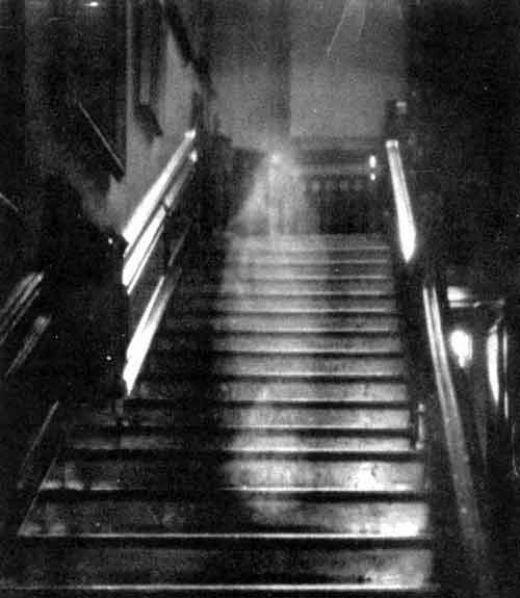 True ghost stories are particularly eerie. While I write about ghosts, I’ve never actually seen one. However, our good friends have had quite a history with a ghost they call Granny Griffin. Granny Griffin happens to reside on the farm Stephen King depicts in his novel ‘Salem’s Lot, although he changed the name in the book to Griffen farm. The farm is located in the Maine town of Durham, where King grew up. His best friend, Randy, lived on the 200-acre dairy farm, which dates back to the 1860s. 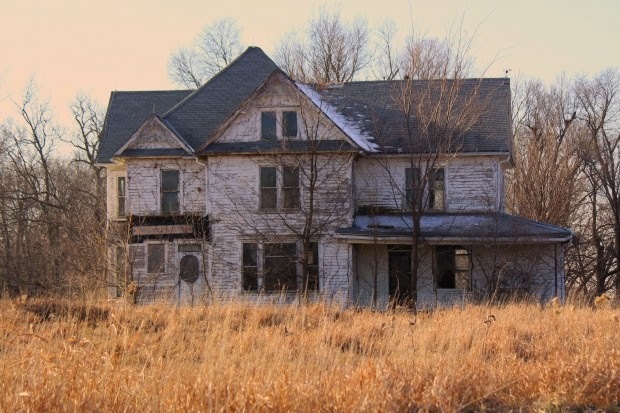 In the early 1970s, Carlene Griffin was unable to care for the farm and had to walk away from it. My friend’s parents, Mr. and Mrs. W., bought it, with all its furniture, treasures, and apparent ghosts. As a child, my friend found photos from the Civil War while exploring the attic! The first news of the ghost came when Mrs. W was approached by a medium in town, who insisted she had a message from the other side that needed to be delivered. The medium wrote a note from Granny Griffin to her daughter Carlene, telling her not to worry about the fight they’d had before she died. Mrs. W. was charged with delivering the note to Carlene, who was still living on the property in a renovated hen house. The ghost in SILVER LAKE has a message to share as well…and despite their painful past, Rain and Jason are forced to reunite to help the desperate spirit. The ghost in GULL HARBOR is a bit angrier…but she has her reasons, and Claire is determined to figure them out—and Max is determined to keep Claire safe. If you enjoy ghost stories spiked with romance, I hope you’ll check out the blurbs for Silver Lake and Gull Harbor from the links above! No sign-up needed, just click on the link and vote! I truly appreciate it. While I have very little artistic talent myself, I was able to convey my thoughts on a dream cover for Silver Lake and select the artist. Some of my visual inspiration, including the pictures I sent in, are here on my Pinterest board for Silver Lake. I think Kim did a fantastic job in creating a spooky and mysterious feeling for this ghost story/reunion romance. My brand new release, Gull Harbor, also has a Pinterest board here. Friday, June 21 is this novel's "official" release day, which means the title is now available in all formats - e files for every reader as well as print paperbacks. I have my author order on the way and I'm very excited. There is nothing like seeing you book in print, despite the ease and popularity of e-readers (more on print vs. e-books here). That said, the Kindle Select Program was an absolutely amazing experience and Gull Harbor has remained on the Top 100 Best Sellers list on Amazon since April! Once my print copies arrive, I'll be ready for some author signings. The biggest one for me is usually the gym where I work! My class members and clients are very supportive, and those without Kindles have been waiting patiently. Meanwhile, I'm hoping Silver Lake does well in the contest. 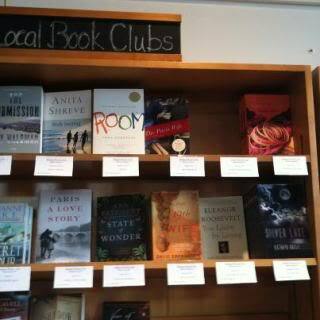 My first novel will always have a special place in my heart, and I'm thrilled Gull Harbor's success is giving Silver Lake more exposure. Thanks for celebrating with me, and I appreciate your vote! 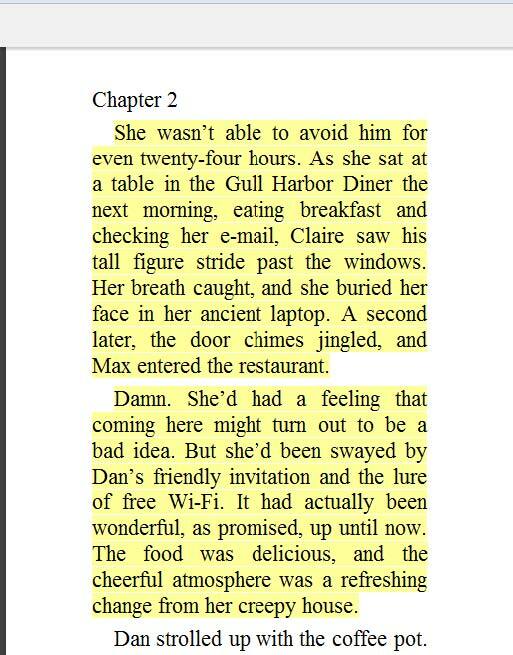 Gull Harbor became available for purchase in paperback copies today, 10 days before its official release date. Once I received the email from my publisher, I began notifying the list of readers who have patiently waited for the print version of my second book. 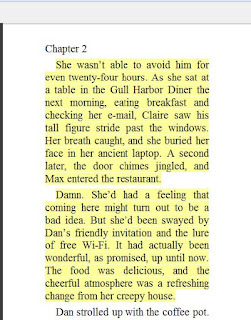 While Gull Harbor became available on Kindle as part of Amazon's Kindle Select Program in February, many people still prefer to hold an actual book in their hands. I admit I'm one of them, although I do read e-books as well. And in my opinion, as a life-long reader, the more reading choices I have, the better. I don't think one way has to be "better" than the other. For me, the two complimentary. As long as I'm reading, I'm happy. And studies are showing that there is virtually no difference between the two methods of reading. So I thought I'd list my personal pros and cons of print versus digital. Print: First and foremost, reading a bound book has a strong emotional attachment for me. I've been an avid reader since I was a child, and once that book is in my hands, I feel like it's officially time to relax and enter another world. There is something very soothing about the feel of a book. I can flip through the pages, use the bookmarks my kids have made for me, and not have to worry my book will need charging. There are no messages popping up from other programs to distract me, no temptation to quickly check my email or social media. The cover art remains easily visible, which often enhances the story. At home, I love to see my favorite books decorating the shelf. Finally, as an author, I like print copies because I can sign them for people! Digital: There is no argument for me when it comes to travel--e-readers are essential. I can remember almost filling a suitcase with books for a long trip once in the 90's. Now the airlines would charge me a bundle for that! I can store all the titles I want on one device, and download a new read almost instantly. So it's no problem if I run out of reading material at an inconvenient time--I don't need to run back to the hotel room or to the store. I particularly love the feature which allows a reader to look up the definition of an unfamiliar word. Finally, digital books require no paper--a plus for the environment. Cost-wise, it depends on how much a person is reading. E-books are less expensive, and many are offered free at times. However, the device itself can be pricey. I don't think e-books will ever completely replace print books--I think they can co-exist peacefully quite well. As a writer, I spend an incredible amount of time in front of a screen already, so I do feel more relaxed with a bound book in my hands. However, I've embraced the new technology and found a number of benefits for the digital platform, even beyond what I listed above. I'd love to hear comments--what's your preference? Plyometric: I hear this term thrown around my gym a lot, but what does it mean? And more importantly, what does it do for you, fitness-wise? That's the topic of the third (you can find #1 and #2 here) of my sporadic Friday Fitness posts, where I write about my other passion aside from writing: teaching exercise classes. Plyometrics are explosive exercises designed to increase power and speed by training the muscles to exert maximum force in the shortest time possible. These exercises are often used by serious athletes to instill muscle memory during competition, but the focus of this post will be using plyometric-type exercises for an average person looking for useful additions to their fitness routine. For this purpose, any type of exercise that involves the repetitive rapid stretching and contracting of muscles qualifies as "plyometric". 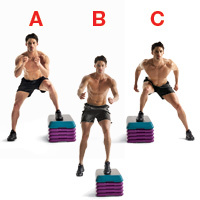 "Jump Training" is another name for this type of exercise, and box jumps are a good example. Jumping up and down from a box or step forces muscles to stretch and contract quickly in rapid succession. That said, I always have my clients jump up but then step down, as opposed to jumping down with the full impact of their body weight. This greatly reduces the stress on the joints while still reaping the calorie-burning explosive benefits of the jump up. The jump down exerts about 7 times more force than actual body weight, so the risks generally outweigh the benefits for regular exercisers. I usually have clients do one-minute sets of plyometrics in between other weight-lifting or resistance exercises. This results in interval training - alternating bursts of intense activity with periods of lighter activity. In general, interval training will burn more calories in the same time frame than an endurance activity, i.e. running on the treadmill for 30 minutes. Plus it uses a variety of muscle groups to increase overall fitness. However, the downside is some of these explosive, high impact exercises can be risky for beginners or individuals with previous injuries. So please note I'm a trainer, not a doctor or PT! 1. Box Jump: described above. Most gyms have a variety of different sizes for members to use. Barring that, a step aerobics bench can be used with as many risers as needed. As I mentioned, I prefer a jump up with a step down. 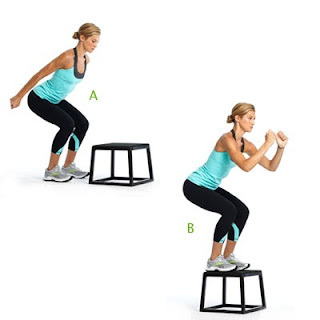 To increase cardio even more, you can add a jack after the step down, so it becomes jump up (from a semi-squat starting position), step down, jack, repeat. 2. Lateral Box Push Offs: This is easiest to do with a step or even a Bosu ball for extra challenge. Facing the side, put your right foot on the step. Pushing off the floor with the left foot, cross over the step so you end up with your right foot on the floor on the opposite side, left foot on the bench. It's a 3 count move and has to be done quickly, with the emphasis placed on pushing off the floor explosively and landing carefully. 3. Burpees: I've heard these called Squat Thrusts. You don't need any equipment for this one. Squat down, place hands on floor, and thrust your legs back to achieve a plank position. Then quickly pull your legs back in towards your hands, and push yourself back up to standing with a jump. Very intense, and you can increase the intensity by adding a push-up while in the plank position. 4. Medicine Ball Throw: This one is specifically for the upper body. Lie on a bench holding a medicine ball above your chest. Push the ball up/away from your body forcefully and toss it in the air. Catch it and lower it back down to your chest, stopping the downward movement as it nears your body. There are many more, but those are my 4 favorites - what are yours?